Still massive boss ship, although there's an optional module you can install that makes the game "endless." Haven't messed with it yet. Edit: Turns out there's also a module that randomly rearrange's the final ship's systems. That one I HAVE tried out, and it's pretty neat. It's makes the final boss much harder and more unpredictable. I got there with a pretty well-loaded Lanius cruiser. Three shield bubbles (with an extra point for hardening), near-maxed engines, teleporter and dual-Lanius boarding party, maxed hacking module, full crew (mostly Engis and Zoltans), 3-shot charge laser, 2-shot hull laser, shield-piercing ion projector, "neural disruptor" (a new weapon capable of stunning enemy crew in a broad area, about 2/3 of most medium ships). Problem was, the flagship was loaded for bear, too, with two 3-shot missile launchers, one 3-shot ion, one 3-shot laser, hacking, mind control, four-man medbay, and four bubbles of shield. And only two of their weapon rooms were unconnected from the main chamber; I wouldn't be able to shut down all the missiles unless I killed off the entire crew. I 'ported off my boarding party to take care of the weapons they COULD take care of and set about disabling their shields using a strategy that had served me well over the past few sectors: repeated volleys consisting of a round of shield-piercing ion followed by five combined blasts from my laser batteries. Allowing for one miss, one volley WOULD bring down one bubble of shield... but it was a slow volley, and the enemy crew would repair it back to full by the time the next one came. Meanwhile, they'd mind-controlled a crewman, so I countered by hacking their mind control. Hindsight being 20/20, I really should have saved my hack for either the shields or the medbay. With my piloting going in and out, I was taking an average of two missiles per enemy volley, and it quickly became clear that they were damaging me faster than I was damaging them. I fought bravely, and I made them work for it, but they finally blew me out of the sky. It was a super tense battle, not nearly as mechanical as the flagship becomes after you know both its capabilities and your own ship's One Golden Build you must approximate as closely as the RNG will allow in order to succeed. You really have to play it by ear and try to create as flexible a build as you can, especially with such a broadened selection of options making it so that you can't just hold out for your favorite strategy. Advanced Edition + Captain's Edition + Flagship Randomizer make this a totally new game, I'm loving it. I've been toying around with going back to FTL. When I was playing it I always wanted to see if I could get a ship whose crew was nothing but Laniuses (Laniusi?) so that I could just have my ship be oxygen free for the entire game. Anyone ever manage to do that? IIRC someone actually managed to do this before the Lanius ships were added to the game. It involved constant rotating of crew from stations to the medbay. It sounds like a torturous way to play. I could see system repair drones being very useful if you decide to do it, at least until you are able to build your crew. IIRC, There isn't any real evidence that your side is necessarily the "GOOD" guys in FTL. Except for the fact that the rebels are always 100% human-crewed ships vs. the multicultural ships of the Federation. The rebels kind of feel like human supremacists. Yeah, that sounds like the kind of logic a xeno-lover would use. Your kind will be the first against the wall when the revolution comes. It's a data-point, but not a conclusive one, IMO. The armed forces of ISIS are both multi-Ethnic and (other than religion) multi-cultural in many respects while the Naval ships of modern day Japan are very very close to being 100% Japanese-crewed. Well, the default Lanius ship, IIRC, has one human pilot to start. I've played a whole game with only the bridge having oxygen, but I've never gone through it *completely* evacuated. There's a related achievement, something like "Stay under 20% oxygen level for the entire game after the first jump"... it's NOT zero percent, so I think the bridge-only strategy is what the designers intended. I got that a achievement and it was a bit hard, harder than I thought it would be. Partly because I'm a 'no crew left behind' player, so often had oxygenated rooms for non-Lanius crew. Also sometimes you have to shut doors to contain boarders, and there's a least one event that closes your ship doors for you, and it's easy to forget and let the O2 creep up. I finally gave the Advanced Edition a go. It's great. I played vanilla for some 70 hours (with limited success on normal). I don't need to win to enjoy the game. I need to be challenged and find interesting ways to progress. The AE adds more intriguing variety to expand on an already broad experience. I love this game. I have just saved and exited a run that has mind control, and hacking, with stun bombs, and boarding, as my setup. So much fun! I have also dropped down to easy until I get into the groove with all the new additions. Does the advanced edition change the default ships or mess with the unlock progression? I'm not sure there's any unlocks or achievements left for me in this game. Pretty sure I've won with every possible ship on at least Hard. It adds a third layout for most ship types and adds an additional ship type. It doesn't mess up any unlocks you already have. I think it also provides an alternate way to unlock new ships besides the story missions. IMO there is no reason to play the basic edition any more. Think there will ever be a sequel? Huh, it's been almost four years since the original came out. That's a lot longer than I thought. They seem remarkably quiet. Their last Tweet was in January, and they haven't created anything in their News and Announcements forum since 2013. I think maybe they took the money and ran, so to speak? Not in a bad sense, just.... maybe they don't want to do any more games? Maybe it exists but if not a sequel I was expecting a clone to expand on the original formula. I enjoyed the heck out of the game but I felt like it could be made a bit more accessible. I feel like luck was too much of a factor and the final battle was too disjointed from the rest of the game. I don't really want to argue those points as it is still a great game, was just expecting something by now to have popped up. Is Captain's Edition Endless mode the same thing as regular Captains edition if you simply choose to progress every time you get to the end of a level instead of delaying and jumping to unknown space? There's some FTL stuff available at Fangamer, ship charms and a tshirt. So at long last I put some time aside, got all the mods working correctly and finally tried out some Captain's Edition FTL. The TLDR is I don't like it. Oh sure it greatly expands the number of possible events you can get during the game and that's wonderful and all that. But here's the issue, CE adds a ton of new weapons and some of them are not balanced at all. I just did a Kestrel run on Easy and I got all the way to a few jumps before the end boss and died to a Rebel Cruiser. Cruisers are a new thing in CE and are bigger tougher rebel ships with a strength more equal to your own. It was frustrating not because I died but that it happened so fast I still don't understand what happened. The combat in default FTL is fairly slow and simple, but isn't necessarily a bad thing because it's visually understandable. The enemy ship fires a laser with big PEW sound, this laser flies through space over the span of a few seconds and strikes your hull with a BOOM sound. You look at where the laser landed and think "okay that damaged my oxygen system". Weapon's that fire multiple shots all at once like a scrap launcher fire very slow projectiles to give you time to soak in the effect of multiple simultaneous hits. It's an elegant system in it's simplicity. In captains edition however almost all of the new weapons have vastly increased projectile speeds, sometimes reduced to instant. This makes it very hard to understand what is going on in a fight, all you hear is BOOM sounds and stuff instantly breaks. Or the enemy ship fires a supershotgun at you and 20 projectiles hit the hull and did... what? There are sometimes so many hit effects that they cover up an entire room. There is one particular beam weapon I despise which only hits a single room for pinpoint damage, but instead of a long drawn out beam animation with a nice sizzle sound it strikes in a split second. The beam and the sound only play for less than half a second, blink and you'll miss it. The selection of weapons and drones has been vastly expanded over vanilla FTL, but at the same time it's also a lot more complex. It used to be that you had Defence Drone Is and IIs. Defence drones shoot down missiles and asteroids, Level 2 drones can shoot down any projectile and fire faster. But then in the new game you have basic defence drones, Light Defence Drones, Ion Defence Drones, Missile Defence drones, Scatter Defence drones and Heavy defence drones. The in game descriptions don't offer enough information about what makes these drones different and even the official wiki is incredibly confusing. I'm going to try again with a different ship (all of the default FTL ships had their loadout changed, but you can change them back with an option mod). But if this continues to be annoying I'm going to switch over to the Endless mode that allows you to tackle the game at your own pace, it sounds like the better way to experience some of the new content CE adds. Things like trading goods for profit and crew interactions. Managed to beat the boss with my Kestrel on the second try. I found a scrap recovery arm early on in the run and it helped a ton, by the end the only upgrade I was missing was the 8th engine. The first stage of the boss is where I struggled the most, I had trouble getting past the enemy shields because my weapons were not quite up to par. By stage two and three I had eliminated the enemy crew which made my job much easier. Captains Edition has a lot of neat changes, and other than the battle confusion I mentioned above I like the new additions. There is a new AI race you can encounter as enemies and as crew. AIs are basically holograms, they have only half health but require no oxygen like the Lanius. 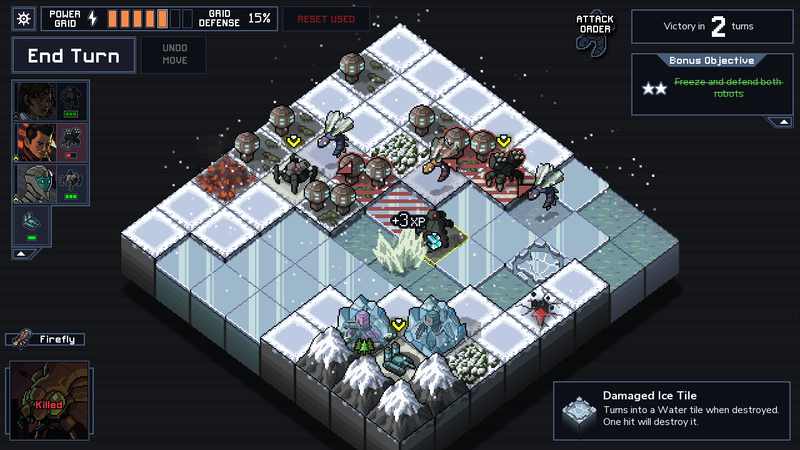 AIs move faster and don't drain the oxygen off your ship but Lanius are much tougher. Finally killed off the Rebel Flagship in Captain's Edition! Yay! Been coming back to that every now and again for literally most of 2016. * A cloaked missile launcher that bypasses missile defense drones. My very first piece of random loot was an augment that removed the 3-power cost of the shield-suppression augment, so I was able to steamroll the first few sectors by suppressing shields and ripping them apart with my beam. I pumped most of my money into engines to increase my evade so I could make my Zoltan super shield last longer, and filled out the rest of my weapon complement with ion weapons so that I'd be able to suppress stronger enemy shields later on. Captain's Edition gives the Zoltan the ability to negotiate better rewards from a surrendering enemy, which offset the lost income from not using a boarding strategy. In the midgame I picked up a drone system with one defense and one offense drone and an artillery system (a non-aimable, non-shield-piercing 5-damage beam weapon), and I spent the lategame upgrading my ships' systems to be able to use them and also maxing my engines and shields. The Rebel flagship barely stood a chance. All it had for weapons was a 3-shot laser, 3-shot ion, and two one-shot missile launchers, which I could tank easily with my maxed engines and Zoltan super shield while I focused down their shields with ion blasts in preparation for my slow-charging, super-powerful beam artillery. Only the third form gave me any trouble; it had a super-shield-piercing teleporter and dumped its entire crew on my ship as fast as it could, and I lost a Zoltan to their assault, but it was too little too late and I blew their mothership out of the sky. It's not as hard as it sounds, 20% oxygen is enough for any 3 rooms. The Lanius ships also come with oxygen masks that halve suffocation damage. So you can have a Lanius pilot the ship and use the other one for damage control/security and keep all oxygen breathers in the middle of the ship. If anyone has to leave the bubble for whatever reason it doesn't matter if they die because they come back as clones anyway. Had a fun CE victory in endless mode. I used the Lanius ship B and my strategy throughout was to use a pair of Lanius as a boarding party and overwhelm enemies with scrap weapons when capture was not an option. The lanius were particularly handy because they could board AI ships with impunity, which are somewhat common in the CE edition depending on the zone you roll. When I got to the final boss I tried using dual vulcan gatling lasers against it. While these are one of the most powerful weapons in the game it didn't work out as well as you might think. For one thing they take ages to warm up to full firing speed and that process is interrupted if the enemy ship cloaks or you lose weapon power to damage or hacking. For stage 2 and 3 I took the gloves off. I had a Missile Flak, a Scatter Flak, a Flak III and a Flak II. On top of all this I had a flak artillery system and a pre-igniter. All told that's a 9+5+7+3 damage alpha strike, plus another 7 from my ship's artillery system. I also used mind control to prevent the enemy from piloting the ship just before firing to ensure that every shot would hit. (which is one of the best tricks you can do with MC) Thanks to a weapon pre-ignitor I could fire everything and recharge them in time to sync with the artillery attack. With a fully trained weapons officer all of my weapons recharged within 20 seconds, so I could fire a full volley immediately and fire a second full volley in sync with the artillery (that charges in 20 seconds). This combo of weapons is usually enough to destroy most ships in one or two volleys. The boss didn't stand a chance! I did love FTL though. of course they never put out an Android version of FTL so I haven't been able to play it for a long time. We’ll release it when we’re done. We don’t know when that will be at this point. 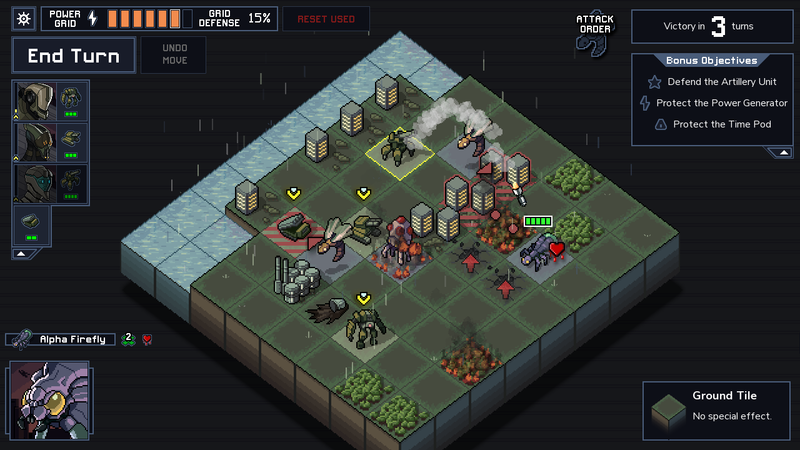 Into the Breach will be on Windows, Mac, and Linux. But it will not release on all three simultaneously. As a small studio, we found managing that large of a release for FTL very difficult, so we’re going to spread it out more this time. I mean, sure. I have nothing to do with the game, but I could certainly use the money and I appreciate it very much! PM me and I'll send you Paypal info - I don't Venmo, its a long story involving accidentally paying someone in Australia who then refused to return the money and Venmo essentially shrugging their shoulders. Hmm. That story wasn't that long I guess. Anyway, I do have the Cash app if that's easier. If you'd prefer to mail a check I'm open to that too. Really, I'm super flexible on this because it is an incredibly generous offer on your part. I have spent HUNDREDS of hours on FTL. 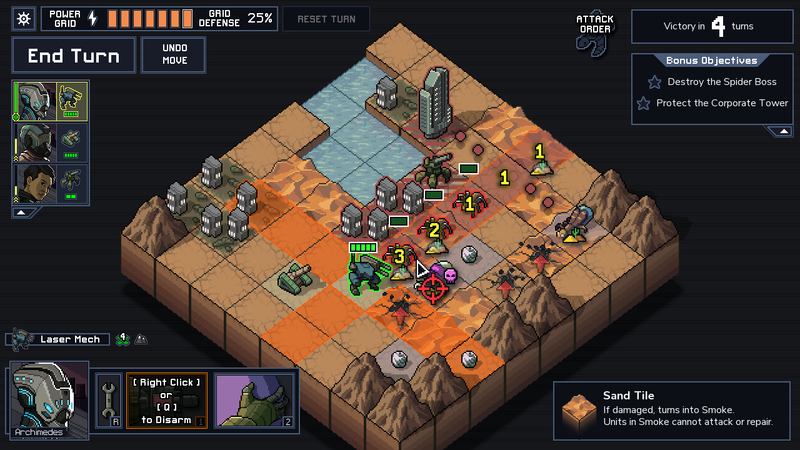 Grid based mecha v. kaiju combat by the FTL devs.